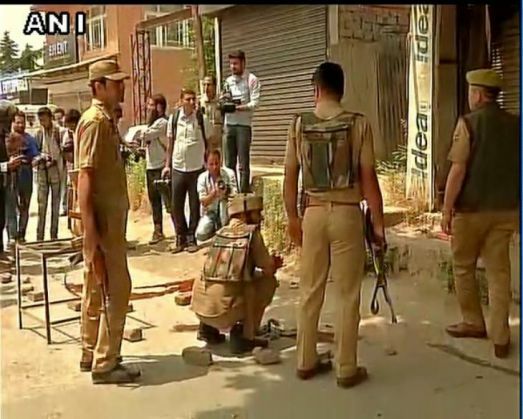 Hours after two policemen were killed in a terrorist attack on Srinagar's Zadibal police station on 23 May, another security personnel died in an attack on a CRPF post in Tengpora. Hizbul Mujahideen has claimed responsibility for both the attacks. According to reports, ASI Nazeer Ahmed and Constable Basheer Ahmed were killed in the attack on the Zadibal station. Both were shot at a close range. According to a report in Greaterkashmir, unidentified assailants opened fire at the police near a mill under Zadibal police station. A manhunt to nab the attackers is currently underway in Srinagar.